How To Get One Movie Ticket Free?? Go through the regular ticketing flow for selecting the movie, cinema, and show of your choice. To avail offer, check 'Unlock Offer or Apply Promo codes’. Click on the tab - Credit/ Debit/ Net Banking. Click on 'Select Offer' and click on 'IndusInd Debit Card Offer' from the offers a drop-down list. Enter your 16 digit debit card number in the box and click on 'Check'. You will have to pay the remaining transaction amount using the same card on which you have availed the offer. Your card number will auto-populate in the box. To make the payment, enter your name on the card, expiry date, and CVV card details. Buy 1 Movie ticket and get the 2nd FREE. Offer applicable on IndusInd Premium Debit Cards. 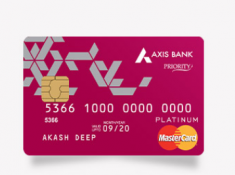 Eligible Debit Cards are Platinum Exclusive, Platinum Plus, Platinum Premier, Platinum Select, Signature Select, World Select, Signature Exclusive, World Exclusive, Signature, Titanium Plus, Duo and Titanium Metro Debit Cards. For eligibility terms and conditions, please see FAQs. In case you have applied for the discount but the transaction doesn't go through for some reason, kindly wait for 5-10 minutes before trying to avail the discount again. The customer will have to pay internet handling fee as levied on each ticket. This offer is valid only for users coming directly to the BookMyShow Website and not via individual cinema sites. 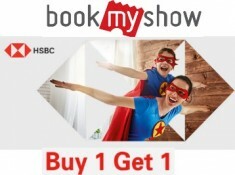 Offer is applicable on all partner cinemas in India for which tickets can be booked on www.bookmyshow.com. 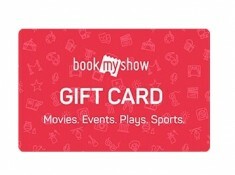 Offer is applicable only for bookings for cinema tickets made on the BookMyShow website (www.bookmyshow.com). 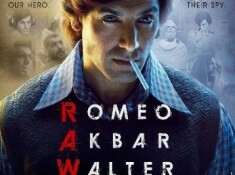 The offer cannot be combined with any offer /discounts/promotions at the theatres available on www.bookmyshow.com. Tickets are subject to availability at the cinema. The number of free tickets available monthly is limited and customers can avail this offer on a First Come First Serve basis for the month. IndusInd Bank Platinum Exclusive, Platinum Plus, Platinum Premier, Platinum Select & Signature Debit Cardholders are not bound in any way to participate in this Program. Any such participation is voluntary and the same is being made purely on a "best effort basis"
Bigtree & IndusInd Bank reserves the right at any time without prior notice to add, alter, modify, all or any of these terms and conditions or replace, wholly or in part, this program by any other program, whether similar to this program or not or to withdraw it altogether. The cardholder shall be required to give personal information and card details online for the tickets purchased on www.bookmyshow.com. In case of any disputes, Bigtree's decision will be final.